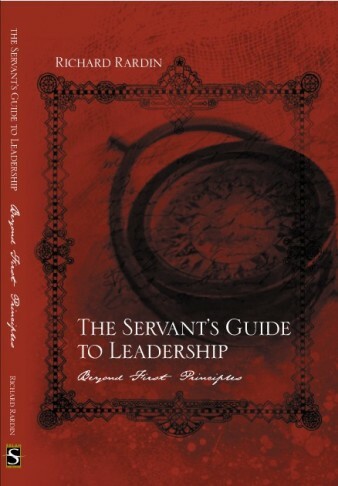 The Servant’s Guide to Leadership presents a practical theology of leading that is as faithful to the Scriptures as it is applicable to the 21st century leadership challenges. It answers leadership questions with biblical insights, practical tools and clear guidelines for church and parachurch organizations. Click on the title for more information. This 48-page workbook has 8 modules that are designed to be taught in 60-90 minute segments. An excellent small group study guide, the workbook can be used with or without The Servant’s Guide to Leadership. But when used in conjunction with the book, participants can learn to apply the book’s major themes both personally and organizationally. Click on the title for more information. A one-day, highly interactive program that draws on the rich resources of Scripture to provide a prescriptive model of leadership. 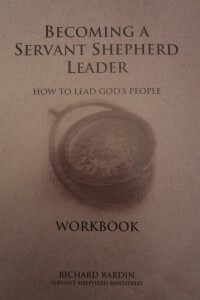 This Seminar can be used to get staff and lay leaders singing out of the same leadership hymn book. Use it to define the distinctives of biblical leadership, to establish a shared mindset for kingdom leading, to clarify the roles between staff and lay leadership boards, and to align all the leaders in your church or missions agency around common, biblical objectives. Click on the title for more information. 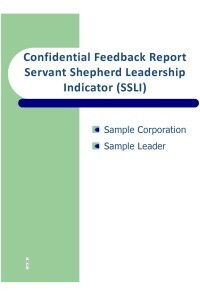 The SSLI is a multi-rater assessment system used by pastors and missions executives to solicit anonymous feedback from those they lead. Church and parachurch leaders can use the SSLI to further the understanding of biblical leadership within their staff, as well as using the feedback to help align their own teaching and practice of biblical leadership. It is the only completely biblically based and fully normed assessment instrument of its type. And it is totally web enabled, eliminating mailing costs while enabling input from anyone around the world. Click on the title for more information. Develop your own robust philosophy of leadership – one that is thoroughly grounded on biblical principles of leading. One that will inform your leadership decision making, regardless of your position. Rich Rardin has over 25 years experience coaching leaders in profit and nonprofit organizations. Whether you need to refine your leadership practices or handle an especially difficult challenge, The Center for Leadership and Spiritual Formation can help. How will you build a strong bench of future leaders in your organization? Who will take your position when you move on? Are the values of your organization’s leadership culture adequate for the next 10-15 years? If not, how will you change them? If questions like these are begging for answers, you need a leadership succession plan. The Center for Leadership and Spiritual Formation can help you and your team sort out the answers and implement the needed changes. 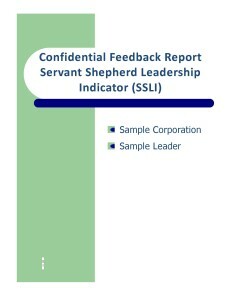 For more information about the Servant Shepherd Leadership Indicator, please read the article entitled, “A Biblical Framework for Leadership: The Key to Unlocking Gods’ Point of View on Leading“. Rich Rardin is available for assisting your church, denomination or parachurch organization in onsite sessions with your pastors, staff and volunteer leaders. He is often called upon as a keynote speaker on biblical leadership topics including, “How to Align Your Leadership Culture with Biblical Principles”, “How to Develop a Compelling Strategic Direction”, and “How to Build a Unified Leadership Team”. To contact Rich, click here. Often a pastor finds the expertise of someone experienced in management and leadership to be a valuable resource. Sometimes the need is for their own personal development, sometimes it involves assistance for a staff member who is struggling with their leadership responsibilities. Biblically informed, one on one coaching can be very instrumental in giving church and ministry leaders the insights and tools needed to effectively meet the challenges of leading others. Click here to contact Rich. The Center for Leadership and Spiritual Formation offers two levels of certification for internal resources or external church consultants. 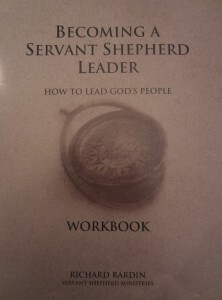 Level I Certification equips members of your staff to use the Servant Shepherd Leadership Indicator. Level II Certification prepares internal staff or consultants to teach the one day biblical leadership seminar, Becoming a Servant Shepherd Leader. For additional information on certification for either or both levels contact Rich by clicking here.